Hell came to Earth! Vicious Antichrist has united all the legions of Hell under his banner, and now our world faces great danger! But the mankind is under the protection of Demonslayer - perhaps the greatest hero in its history. 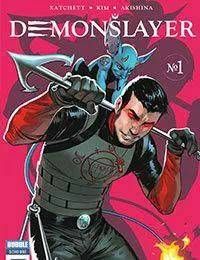 After taking on a mission of saving the planet, Demonslayer gathered a team of like-minded individuals that help him fight forces of evil! Little imp from Hell called Sneak, the shaman Black Hound, the witch Queen of the Rot, the homeless girl Yana and the living nightmare Balor that lives inside her mind - this magical squad doesnt look like your typical heroes but they are the last hope of the Earth in the face of the demon invasion!